Details: A FREE parade for all, with children dressing up with this years theme "BEDROCK STONE AGE FAMILIES" . This is the 72nd year and the longest annual in Oroville. There is no entry fee to be in the parade. 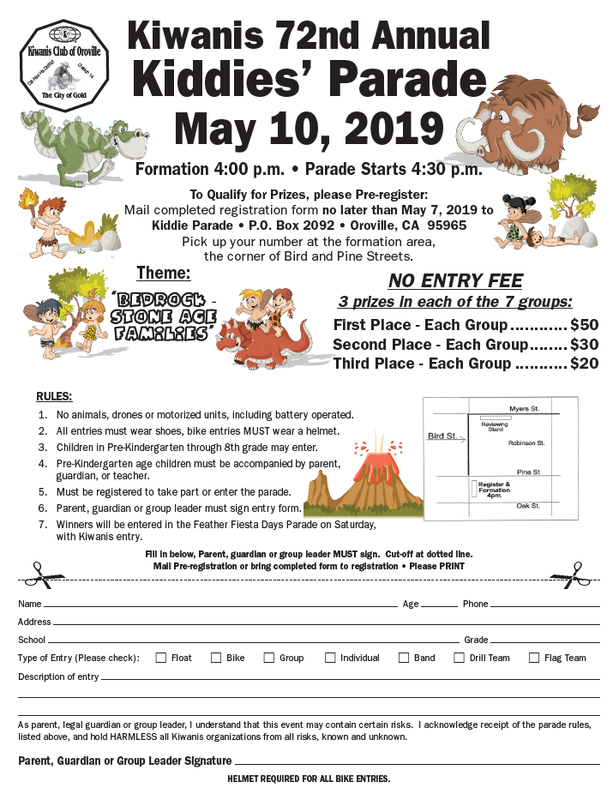 It is free, so sign up and be a part of Oroville's history.